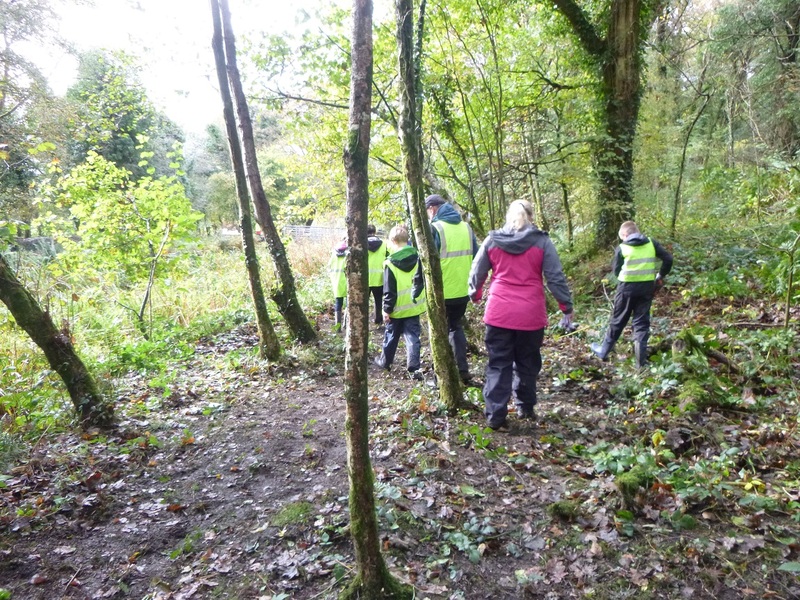 “This month the Sunday Work Party welcomed the Swansea 32nd Scout with fourteen boys and girls, four parents and their troop leader Ben Ball. They all arrived at the CRT carpark in Ynysmeudwy at 10 o’clock on the dot, and were appropriately attired in warm coats, boots, gloves and high viz vests. I was most impressed. 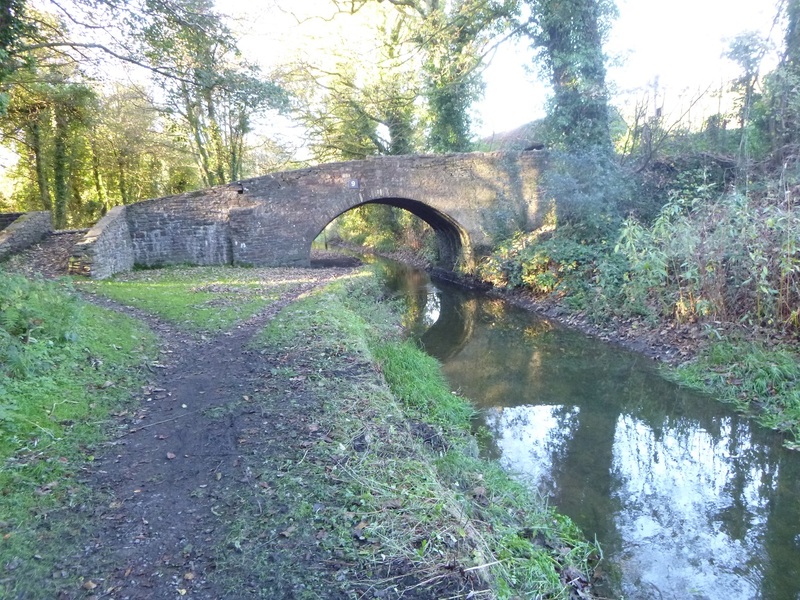 We ran through a health & safety reminder, a short background history of the Swansea Canal and briefing on what we would be doing, and then got to work. 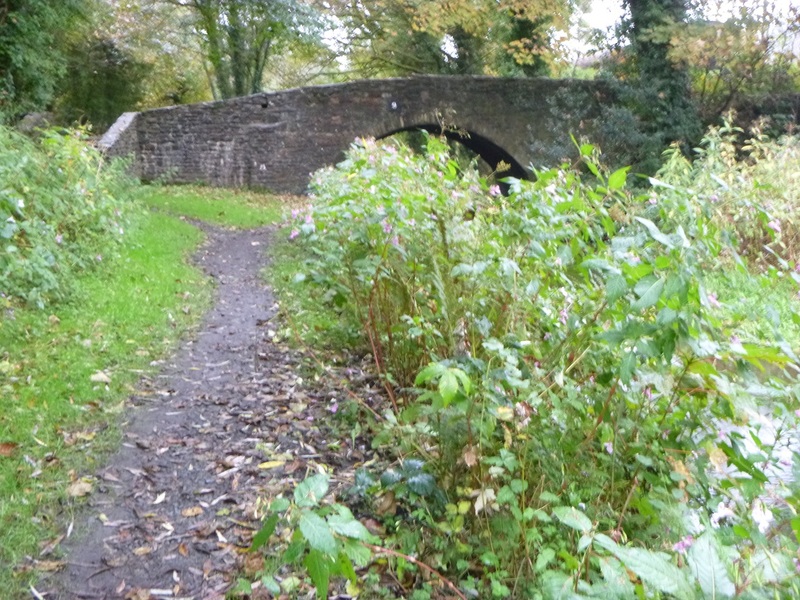 The first task was to clear some Himalayan Balsam from the canal bank just north of the Bryn Bridge. 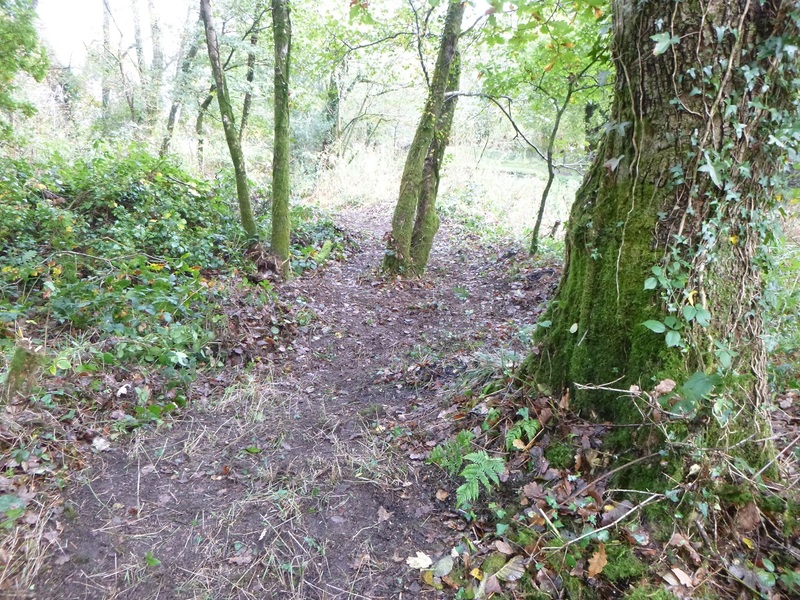 Before and after photos show the difference that was made after just twenty minutes of weed pulling and clearing up. We then moved down to Ynysmeudwy Lower Lock, crossed over the canal on the bridge and began phase two of the work party. 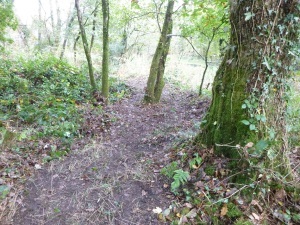 The aim was to clear a path through the woods on the off-bank to connect the Upper and Lower locks. This meant removing brambles, pulling H. Balsam, cutting down a couple of small dead trees and clearing away any obvious ‘trip hazards’. All of this was achieved by the work party. The scouts worked diligently and it was a great team effort. 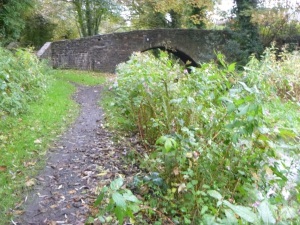 We started work about 10.30, stopped for tea, coffee, squash, biscuits and fruit at 12.30. 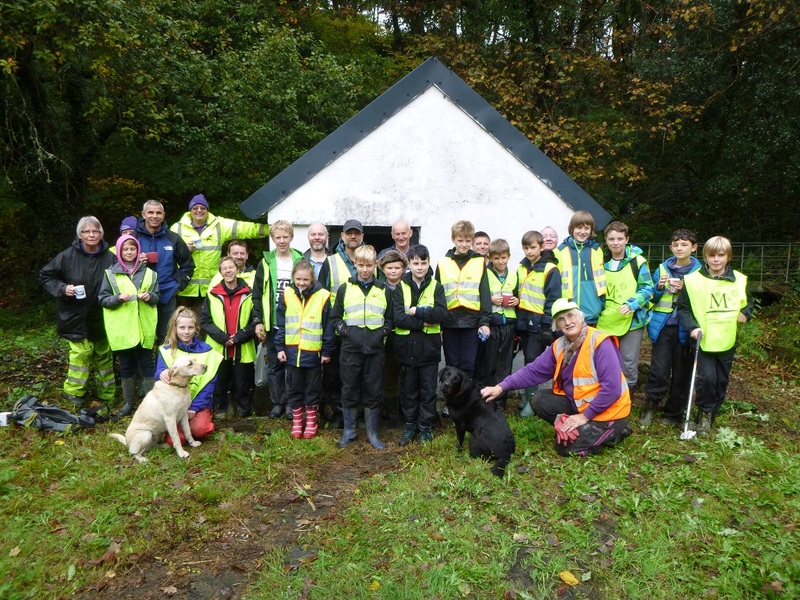 After refreshment we did a further 45 minutes of clean up around the Lock Keeper’s hut. We had a ‘group photo’ and dispersed around 2 o’clock. The 32nd Scout Group, some parents, Ben the leader, with Michelle and SCS volunters, not forgetting the dogs.